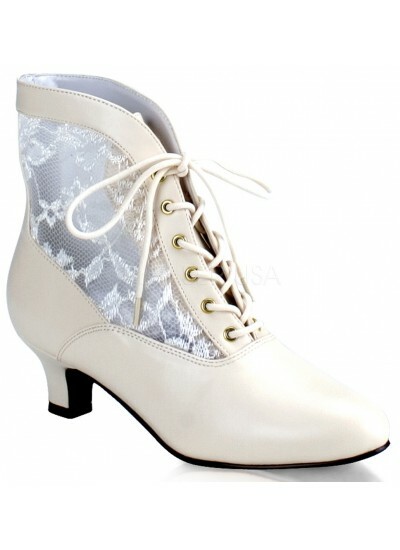 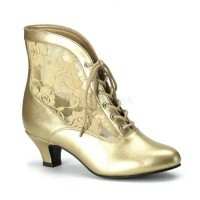 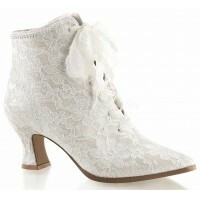 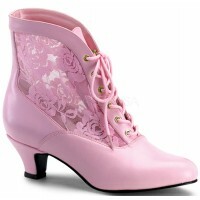 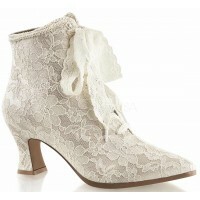 This lovely Victorian ankle boot is perfect for Steampunk or Weddings in ivory with lace insets and 2 inch kitten heel. 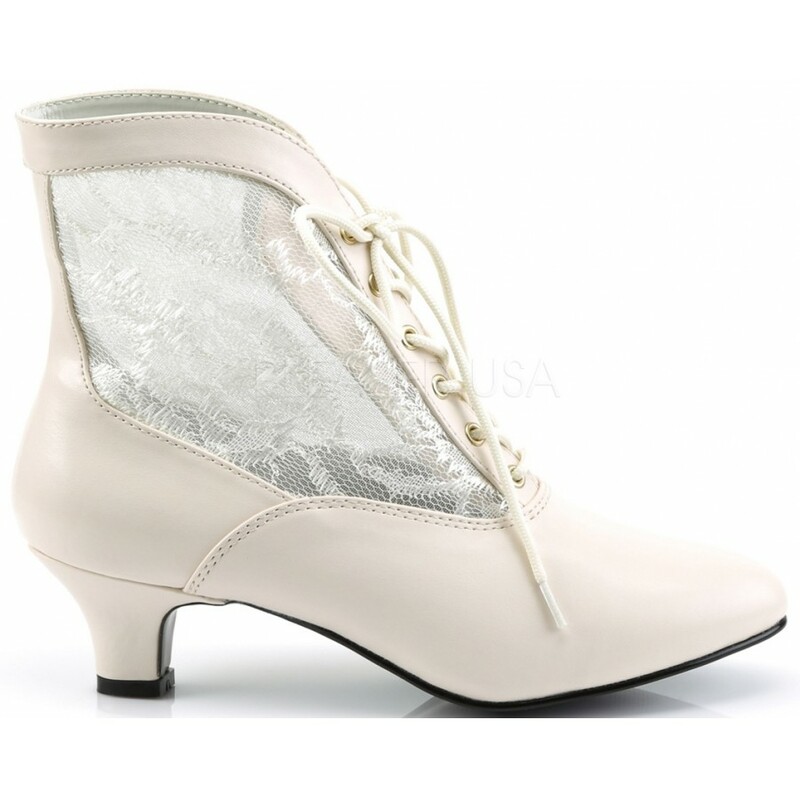 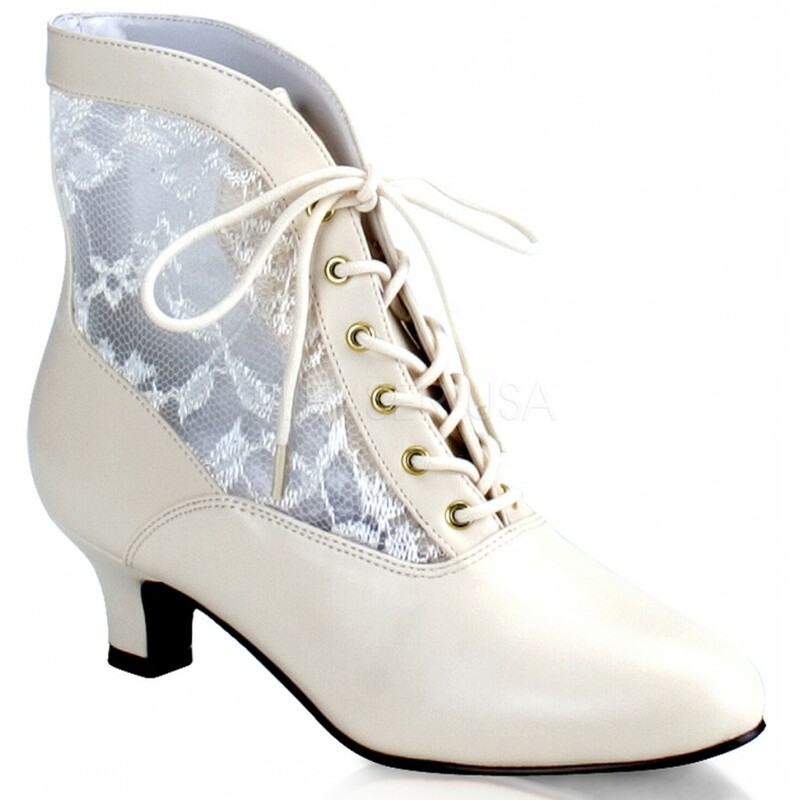 Beautiful for steampunk, Victorian and Bridal, these ivory ankle boots have a lace up front, lace panel insets, and a comfortable 2 inch high heel. 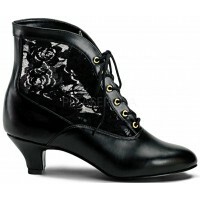 The Dame 05 Victorian Ankle Boot is made in whole sizes 6-12, average width. 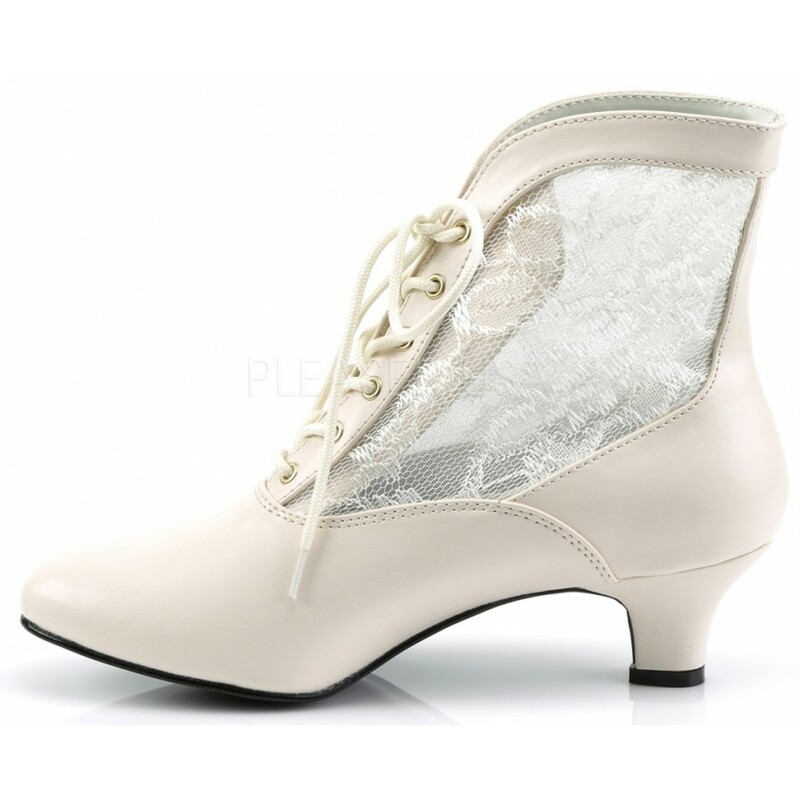 Item Number: PL-DAME-05/IV | Approximate Size (Inches): 12.00 wide x 14.00 deep x 8.00 high | Approximate Shipping Weight: 4.00 lbs.